Posted 13:58 by Kristin & filed under Featured Articles. What is cuter than a picture of a child? 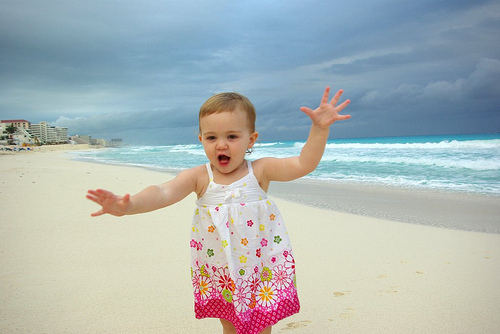 A picture of a child in Cancun! There is never a shortage of cute kids in Cancun; kids who are visiting on vacation, kids who live here.